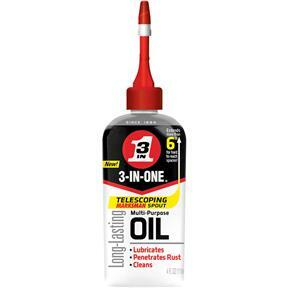 3-In-One Multi-Purpose Oil With Telescoping Spout 4 oz. 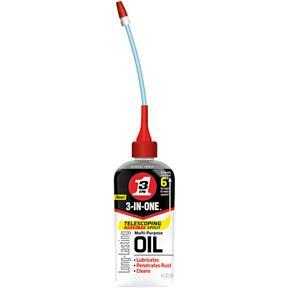 WD-40 10070 - 3-In-One Multi-Purpose Oil With Telescoping Spout 4 oz. 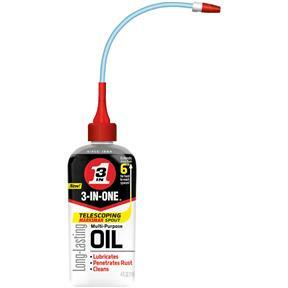 The new 3-In-One® Multi-Purpose Oil with Telescoping Marksman Spout comes in handy when precise control is required. 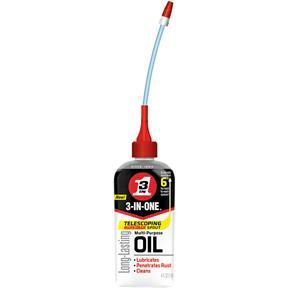 With an extra 6 inches, the new 3-In-One® Multi-Purpose Oil with Telescoping Marksman Spout easily fits into hard-to-reach places and delivers oil precisely where it's needed - and nowhere else. 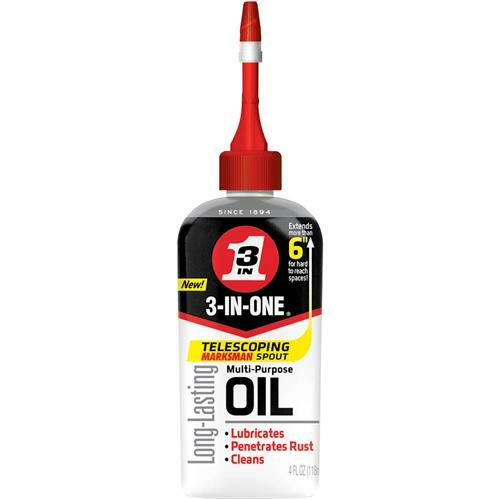 While it still holds the same trusted 3-In-One® formula, the new ergonomically shaped bottle is easier to use, its on and off twist tip will help you avoid unwanted spilling and its clear product fill indicator will tell you when you're running low - all to help you lubricate, clean and protect your tools and equipment better.